Our students are often very excited to find our meditation teacher program because we are the only training offered in the Erie area. We often teach students who have traveled from Grove City, Lake City, Edinboro, Cleveland, Meadville, Buffalo, and other areas– sometimes to dedicated students who are located 3 hours away! We’re glad we can offer this training to the area because Meditation can enhance entire communities and is an important skill for any individual’s personal development. We understand empowering our students is essential in bringing more peace of mind to the lives of those we love, and the more people who can teach meditation, the more people will have access to learning how to live healthier lives. This training has been approved by the NASW-PA Chapter of the National Association of Social Workers and Yoga Alliance. Earn 30 CEUs and enhance your professional skills. Yoga Alliance registered teachers are required to earn 30 CEUs every three years. In addition, Social Workers, School Teachers, Marriage and Family Therapists, Massage Therapists and Professional Counselors can earn 30 CEUs. Plasha Yoga School’s meditation teacher training is for anyone who wants to learn how to meditate, deepen their existing meditation practice or share their love for meditation in teaching others how to meditate. On completion of the course, you will feel confident to teach meditation to different types of groups. If you are a Yoga teacher, you will learn how to integrate it into your classes or teach meditation programs. Mental health professionals, health care providers, doctors, nurses, teachers, healers, meditators, therapists, addiction specialists, Yoga teachers and those in ministry or hospice who are called to teach meditation or apply mindfulness meditation principles in their professions will be given the tools to start. Upon completion of the program, you will receive a certificate to teach meditation. Learn how to adapt meditation and mindfulness for PTSD, ADD, Hospice, Mental Health Afflictions, Faith-Based Religious Groups, Children, 12 Step Groups and those in Recovery. $600 due by Jan. 12. Payment plan: $300 by Jan. 1 and $300 by Jan. 12. Contact me about optional monthly payment plans if you register after Jan. 1. A $50 non-refundable deposit applied to your total tuition amount will hold your spot. Please mail a check made payable to Plasha Yoga to Michael Plasha, Village West, 3330 West 26th St., Erie, Pa 16506. Once you have registered, I will send you a book list and reading assignments. You will also receive handouts. The cost of books will be extra but I can get you a 40% discount. Plasha has been practicing meditation for over 40 years. He began teaching meditation in 1982 at the Kensho Meditation Center in Erie. He has studied and practiced with the following yoga and meditation masters: Swami Chidvilasananda, Swami Satchidananda, Roshi Phillip Kapleau, Roshi John Daido Lori, the Venerable Henepola Gunaratana, Swami Dayananda, Dr. David Frawley and T.K.V. Desikachar. He has attended retreats and programs at the Rochester Zen Center, the Zen Mountain Monastery, the Bhavana Society, the San Francisco Zen Center, The Green Gulch Farm, the Tassajara Zen Mountain Center and several ashrams in America and India. 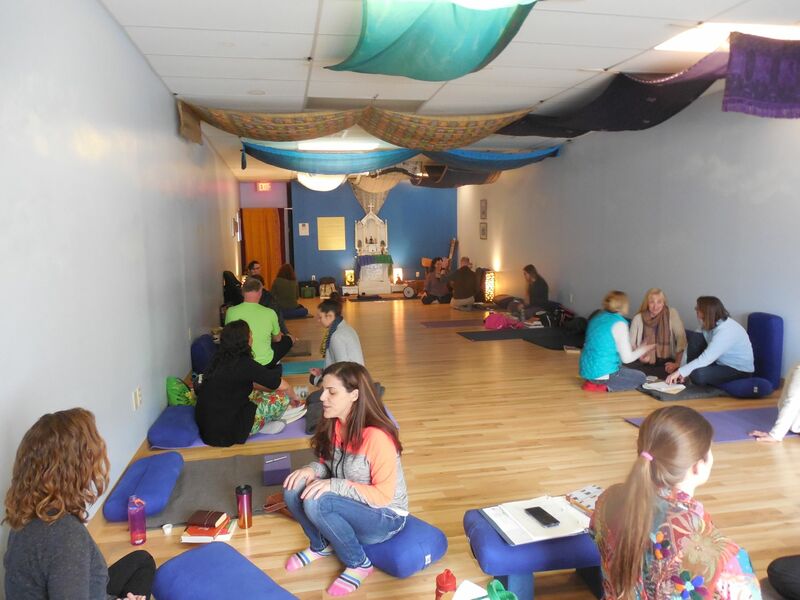 He has trained over 50 meditation teachers in the Erie area. Note: When you register below, Pay Pal is set up only for the full payment of $600. If you need an optional payment plan please contact me. Reach me at rhadeya@plashayoga.com or call 814-864-1114 to register or to have your questions answered.